Let me guess… you’re running a fantastic business. But you’re struggling with one little thing — you’d like to have more customers. Right? So, you’ve got a store, or a neat service-oriented business, a small budget and a big headache when it comes to getting enough customers? I hear you. Most small business owners don’t know enough about online marketing methods to make them work. Some don’t even know where to start! If this is you, there is hope. Together we can work on getting more customers for you, getting more value from each customer AND automating as much of the process as possible. That way, you can focus on what you do best: serving your customers. You’ll be confident that customers will keep rolling in, and your income is steady. While other businesses around you give up, you’ll be feeling secure and optimistic about the future. If you’re not sure how you should be marketing your business, or just thinking about sending regular emails makes you feel bogged down, then you need some outside assistance. This is exactly where I can help. I’ll make sure your marketing is actually effective, so you can focus on keeping your customers happy once they get in the door. You’ll be able to rest easy knowing that your business is growing and you’ll always have more customers to greet. I’m offering this service because I’m always getting friends-of-friends asking if I can help them out with their marketing. But, I won’t work with just anyone — you have to be a good fit for me, and I need to have the time spare to do a good job for you! Because of my background in event management and singing for events, I specialise in the marketing of events and destinations, so I’m the perfect marketing choice for you if you’re hoping to promote a venue, artist/musician, non-profit/cause, travel destination, historical location, family entertainment, or any type of wedding service or event supplier. I prefer to run Facebook ads for you with a minimal ad spend per month — it’s possible to be very selective with targeting in order to keep costs low! My Specialties: Social Media Training; Social Media Marketing; Social Media Consulting; Writing; Editing; Proofreading; Sales Funnels; Inbound Marketing; Content Marketing; Advertising; Affiliate Marketing; Email Newsletters; Small Business Marketing; Web Design; Analytics; Branding; Campaign Development; Customer Profiling; Copywriting; Direct Sales; Event Management; Business Development; Call Centre Management; Communications; Influencer Marketing; PR; Research; SEO; Business Transformation; Team Management. Many businesses just have no idea how to create marketing collateral, do professional proofreading, and perform simple website tasks, so they ask me to look over their menus and brochures, upload them to their website, and write a few blog posts and sales pages. These small tasks can be daunting if you’re not cut out for the job, and it really does make a difference to the way your customers view your business (and how useful your marketing material is). 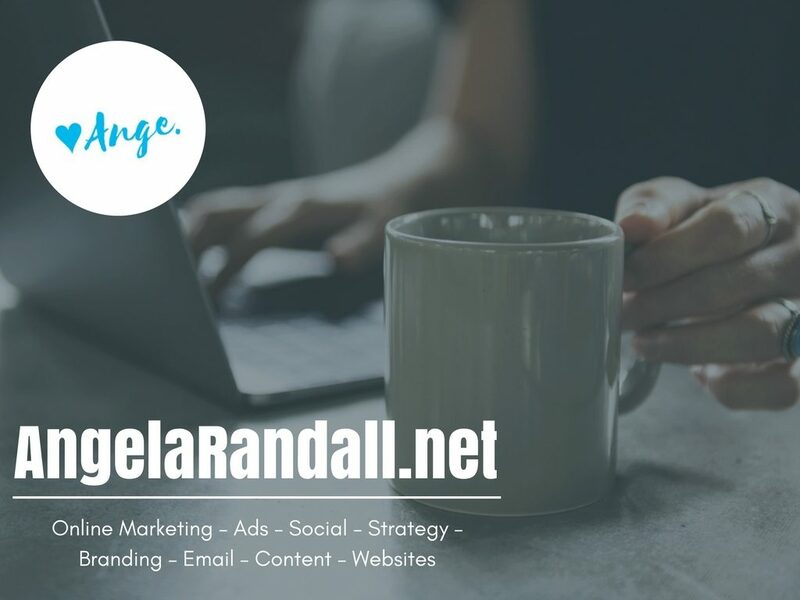 I do also offer training for businesses who wish to learn how to do their own marketing, but if you would like me to just get your marketing strategy underway for you, I’ve put together the following packages. 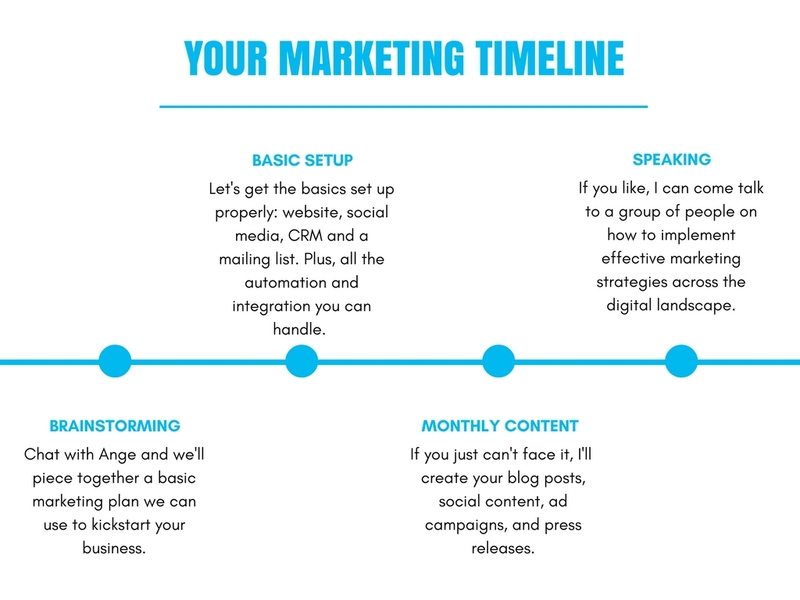 To get started, we’re going to need to chat about your business and start to develop a marketing strategy that will work for you. I need to know exactly what you’ve done so far, who your ideal customers are and then we’ll work on branding and exposure that will get you noticed. From here, I might suggest you start working through the packages one by one, or if you’re more advanced in your marketing we can jump ahead. What you ask of me all depends on your budget, and I’ve developed these packages to fit the different stages you could find yourself in regarding the marketing of your business. You might be pretty comfortable with marketing yourself once the basics have been set up. In which case, you might hire me to do a starter or advanced marketing package and then do it yourself from then on. And that’s totally awesome for you, if that’s the case. Or, you might be less comfortable with DIY marketing and prefer for me to run your marketing on a regular basis. You could hire me to do a starter marketing package most months and then hire me for an advanced marketing package or occasional extra every now and then, when you’ve got something you’d like launched. What is a New Customer Worth to Your Business? Whatever it is you need for your marketing, just drop me a line and we’ll chat about what you want and how I can help you.